"Our blood might be different, but we all bleed red." In the shadows of North America, beings called Daemonstri thrive in a society comprised of witches, werewolves, vampires, and more. They've lived under the rule of purebloods for over a millennium, but the tainted have promised their rise, and it begins with a stolen artifact and a kidnapped girl. Defiant outcast Nika scrambles after the vengeful shapeshifters who took her best friend. But complications arise with the oppressive Daemonstri government, a deranged witch with foul magic, and dark temptations of the heart. 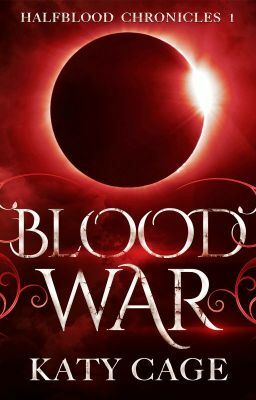 Even if Nika overcomes these obstacles, a violent war between the pure and the tainted may ruin the supernatural world, dragging her and everyone she loves with it.